Today we planted twenty-five linden trees to learn more about how to grow these delicious salad leaves. 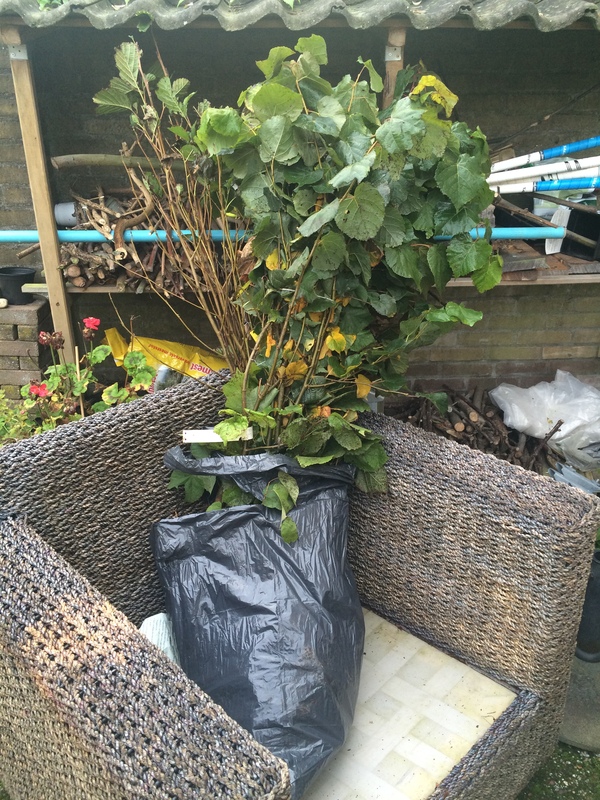 Young linden trees, fresh from the nursery. Linden trees (zomerlinde), with oak leaf mulch. We cut the trees at 75cm height, to get a bushy form. Seven linden trees (winterlinde) on another row. Also cut at 75 cm. 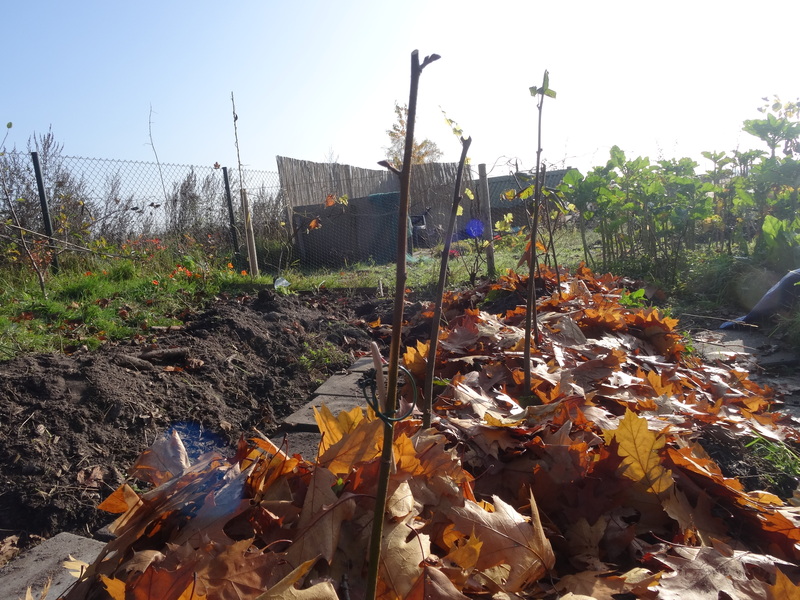 In the back of the allotment, in the shade of a Norwegian Maple tree and protected from the wind by a hazel bush, we planted 8 T. platyphyllos as well. It will be interesting to see which trees with have the best leaves. 8 linden trees in the half-shade under the maple tree. It is a bit difficult to spot the trees with this camouflage background. These trees were not cut down to a certain height. We want to learn more about the delicious linden leaves as salad greens. Coming summer, we will see how the different leaves taste and how much we can eat. It will take a few years for the trees to really get rooted, so it is a long term project. 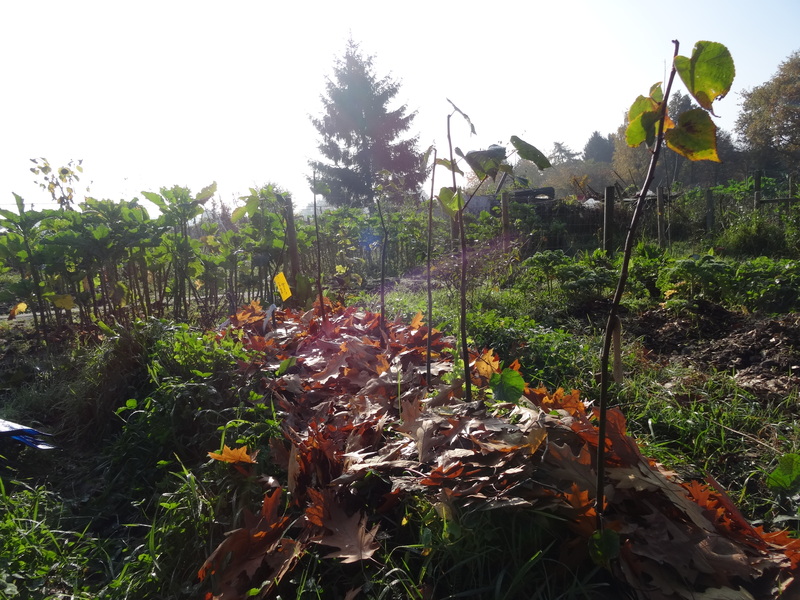 The first time I saw a salad tree was in the garden of Eric Toensmeier, famous from the books about Edible Forest Gardens and Perennial Vegetables. I knew about the linden-tea-flowers, but I had never heard about eating leaves from trees. Do you have experience with linden leaves? Maybe you have a favorite tree?